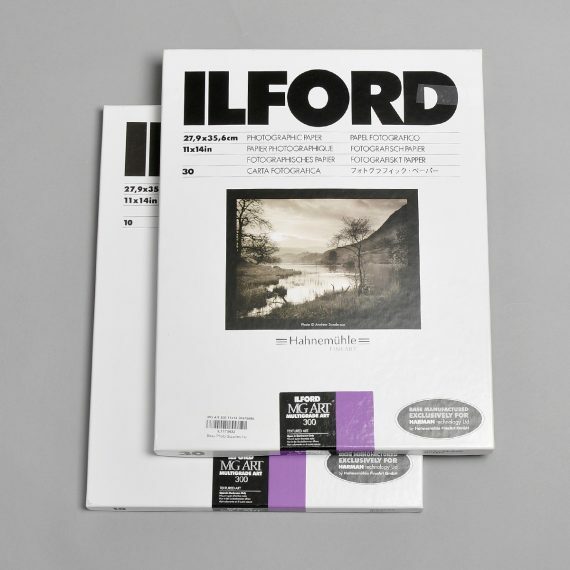 Ilford Multigrade Art 300 Paper | Beau Photo Supplies Inc.
Ilford Multigrade Art 300 is a 300gsm, 100% cotton rag, acid free light sensitive paper for black and white darkroom printing. This new base has been specially produced for HARMAN technology by Hahnemühle FineArt GmbH. The fine art base with a multigrade silver gelatine coating has a cool base colour and warm image tone. It has a textured matt surface with an eggshell sheen. This paper is fully compatible with all existing multigrade filters. Beau stocks 8×10, 11×14, and 16×20 in a variety of quantities.